Building New !!! With parking space. Next to Shopping Frei Caneca and Avenida Paulista. Apartment harmonized in colors, furniture and decoration so you have all the comfort and a good stay. Privileged location in one of the best points of São Paulo. The condo has laundry facilities, super full gym, outdoor pool (wonderful), amusement park. Good for couples, business travelers and families (with kids). Hot water in the sink and in the shower, bath towels and face. Carpet. Wardrobe. Cesar made everything perfect from start to end. His communication and supportive suggestions were a great help in getting around during our stay. The apartment is well located, so it was easy to walk to the shopping center, grocery store and metro. The building is secure with 24 hour guards. The apartment itself has an incredibly comfortable bed and is generally all we needed during our stay, which was a bit over a week. It was great coming 'home' to and relaxing before another busy day of site-seeing the next day. We would definitely book this apartment again. The vista from this 12th floor flat was magnificent. We were too busy to use the pool, but we did utilize the laundry room. The guards did not speak English, but were still very helpful. Thanks, Ron, for your comments. I'm very happy that you have enjoyed the stay. It will b a plesuree to host you guys again. Thanks, Ron. For me, it was a plesure to host you. Great location, great building, great apartment, and an awesome host! We were in Sao Paulo for 2 months and stayed in many different places. This location was by far the best, quite, clean, and close to stores, restaurants, and Ave. Paulista. The apartment was wonderful, it is a large studio with lots of room. It is on the quite side of the building and has everything you need for your stay. The building itself is new, and the all of the staff were great. Cesar always responded quickly and was very helpful throughout our journey in SP. When we come back to SP we will be sure to stay here again. Many thanks, Mark. It was a pleasure to receive you guys in the apartment. When return to Brasil, we will be open doors for you and your wife. Have a nice day. Adoramos o apartamento! Decoração aconchegante e muito bem equipado. Tudo muito limpo. O anfitrião foi muito atencioso e receptivo! O espaço destaca-se pela localizalizão, por ser bem próximo a Av. Paulista que pode ser acessada a pé, com uma pequena caminhada. Próximo ao apartamento fica o shopping frei caneca que possui boas lojas e uma praça de alimentação bacana. Por perto também encontramos diversos comércios como: padaria,lanchonetes e restaurante. Quanto ao prédio, a segurança é o forte! Possui uma piscina fantástica, entre outros espaços de convivência. O anúncio cumpre tudo que promete! Certamente esse é um lugar que me hospedaria novamente em uma próxima visita! Apartamento bem localizado, bem decorado e o proprietário é muito simpático. Quando voltar a SP ficarei novamente ai. Amei tudo! Muito obrigado, Suhelen. Será um prazer recebê-los novamente. Shopping Frei Caneca (3 minutes walk) - R. Frei Caneca, 569 - Telephone: (11) 3472-2075 http: // freicanecashopping. with / Full food court, Starbucks downstairs, post office, key chain, fast graphics, beauty salon, 24 hour box, supermarket (with organic options, gluten free etc), cinema, theater etc. Avenida Paulista (15 minutes walk, approximately). You can go up to Frei Caneca or Rua Augusta. Numerous cultural, artistic and gastronomic options. - Restaurant Zeffiro - Rua Frei Caneca 669. Next to Shopping Frei Caneca. Varied menu and reasonable price. - Gopala - Vegetarian Indian restaurant. Investments. There are other leaflets in the kitchen drawer. - Master - inside Frei Caneca Shopping, go down the escalator. If you need to use the condo cart to take the purchases to the apartment, use the card that is on the white shelf to release it. When returning the cart, take the card back. Free Fair - Knowing a free fair in São Paulo is a wonderful experience. Be sure to sample the typical pastries with cane juice. Every farm on Rua São Miguel. Climb Frei Caneca Street, just after Frei Caneca Shopping. Transportation: - Bus: Several lines in the streets Augusta and Avenida da Consolação. - Subway: Consolação Station (Yellow Line) entered by Consolação Street. Paulista Station, entrance through Paulista Avenue. Uber and taxi applications are welcome. Hospitals - Sírio Libanês, Santa Catarina, Nove de Julho, Beneficência Portuguesa, Oswaldo Cruz, Pró Matre - maternity, etc. Cinemas - Espaço Itaú de Cinema - Rooms inside Shopping Frei Caneca and also in Rua Augusta 1475. 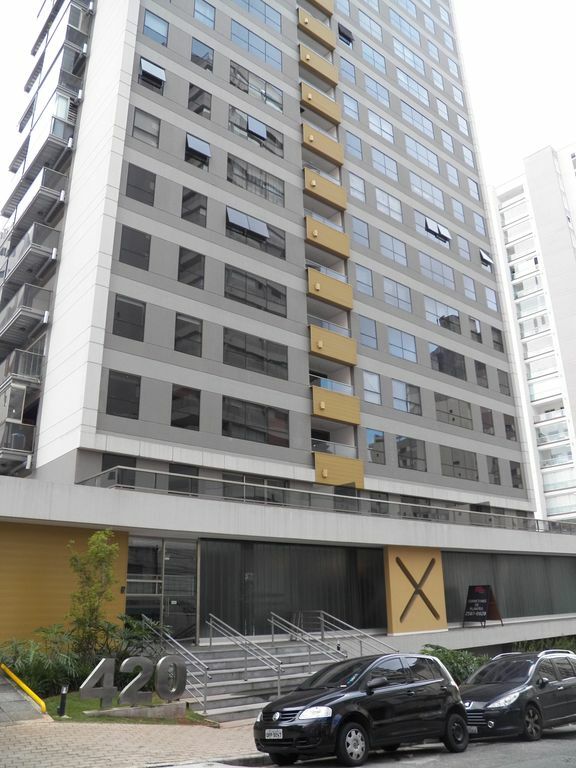 - Caixa Belas Artes - Rua da Consolação - Rua da Consolação 2423. Theaters - Maria Della Costa Theater, Eva Hertz Theater - Inside the National Cultural Bookstore, Frei Caneca Shopping Theater, Bibi Ferreira Theater, Stand up comedy etc. - Santa Ifigênia Region - Largest electronics and electronics center in Latin America. - Everything for lighting - Several shops, close to the subway Consolação, in Rua da Consolação. - Bairro do Bixiga: Excellent pizzerias and Italian canteens. - Downtown - If you have time, it is worth a stroll through the historical center of São Paulo. Tourist points: Banespa Tower (from the balcony of the apartment, we have a beautiful view of this monument), Sé Cathedral, Municipal Market, Pinacoteca, Monastery of São Bento etc.